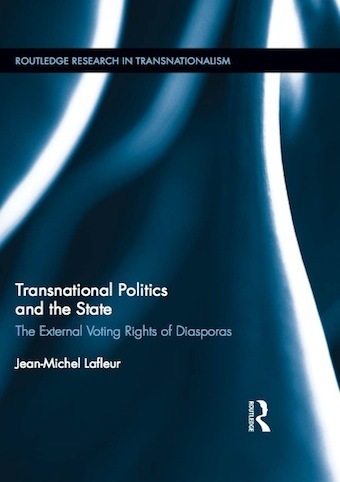 Jean-Michel Lafleur’s new book on the right to vote of immigrants in home country elections is out. The book presents several years of research in Europe and Latin America on the external voting rights of diasporas and their impact on the host and home societies. Lafleur Jean-Michel, Transnational Politics and the State. The External Voting Rights of Diasporas, London and New York: Routldge, 190 p.